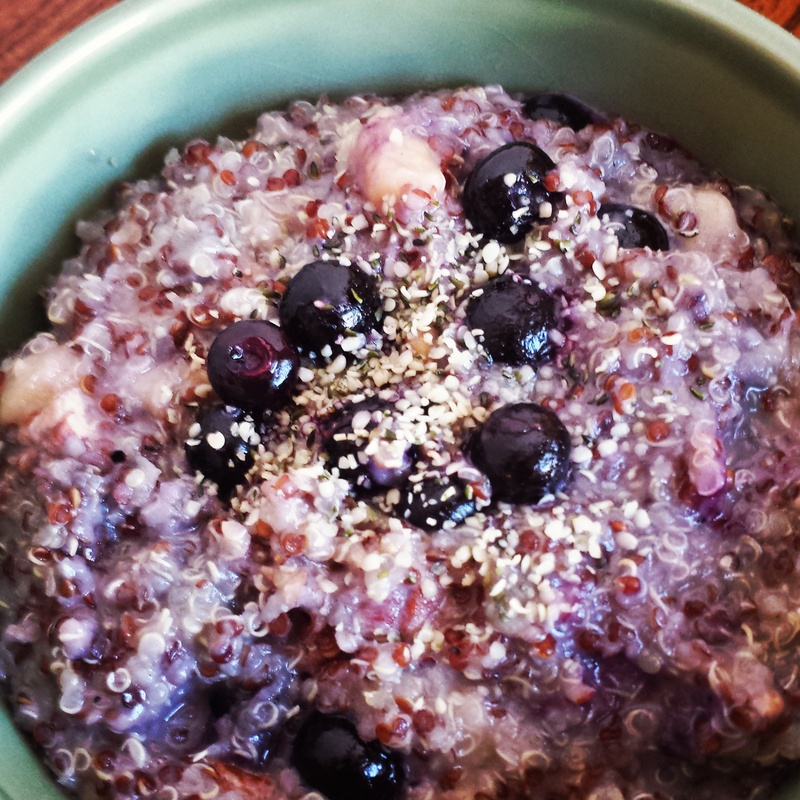 Delicious and filling quinoa porridge – helping women with Lupus reclaim their health. I am going to be real with you right now: I don’t really like quinoa all that much. Don’t get me wrong, I love that it’s easy to prepare, that it’s gluten-free, and that it’s bursting with nutrients, but the flavor…meh. With this burden to bear, I have developed several recipes that give me all the punch while downplaying the flavor. Like my recipe for the quilupa (a favorite at my house) or this lovely quinoa porridge. Like all of my quinoa recipes, this one starts out with premade quinoa that I have in the fridge. I usually make 2 cups of quinoa on a Sunday night while I’m cooking my dinner so I can use the quinoa throughout the week. Two cups dried quinoa equals about 6 cups of cooked, so it’s rather a lot. If you need instructions on cooking quinoa check out The Kitchn’s how-to. Personally, when preparing my quinoa for the week, I leave out the oil and don’t use broth so I can use the quinoa in lots of different ways. 1/2 cup of fresh or frozen fruits of your choice. Today I used frozen blueberries but have also used chopped apple, strawberries, and pear. Go with what you have on hand or what you have a hankerin’ for. a handful of nuts and seeds of your choice. I used pecans and hempseed, but add what you have. Add bananas and saute until they caramelize. Add cinnamon and salt, and stir. Add quinoa and stir to incorporate. Add in coconut milk starting with 1/2 cup and increasing until you get the consistency you like. Previous Post Health on the cheap: Buying in bulk.